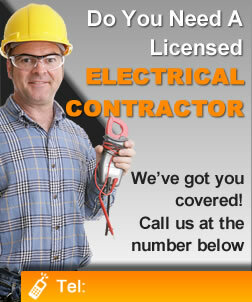 Are you a real estate developer looking to hire a licensed and well-experienced team of electricians in Columbus, Ohio who can ensure that all electrical workings in your properties are durably installed? If so, then you are exactly in the right spot. We can offer you a list of high-quality and affordable electrical solutions to help address the electrical requirements for all of your properties. Being in the real estate business can be highly lucrative but it also means you have a lot of responsibilities to carry on your shoulders. There are a lot of factors to consider to gain success as a real estate developer. It’s never going to be a walk in the park. You have to be able to convince your clients that the properties you are promoting are going to be worth every penny they invest. If you are endorsing a commercial or residential space, take note that clients would want to have everything ready once they move in. This means that all the necessary utility works in that structure should be up and ready before they get settled inside. Clients wouldn’t want to have to worry about these things because it will be another added hassle and financial cost on their part. Making sure that all the electrical wiring are carefully and thoroughly set up in a property is very crucial. We have successfully completed a lot of residential, commercial, and industrial electrical works, so you can rely on our extensive knowledge and substantial skills, to ascertain that every aspect of your properties’ electrical system will be well taken care of. As much as we value each project we are assigned with, we also value your trust and investment. This is our mindset as a team, and by this, we can establish harmonious relationships with our clients may it be in the residential, industrial, or commercial fields.